Whether you have placed a call to Best Heating & Air Conditioning for an emergency service call or for consultation about an ongoing problem with your commercial heating and cooling systems, you will receive the same prompt, courteous response that Best Heating & Air Conditioning is noted for. 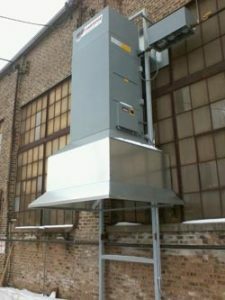 Our technicians are well versed in all types of commercial systems, including rooftop heating-cooling units from 3 tons to 100 tons, chilled water air conditioners and hot water boilers. We service and install pneumatic and electronic temperature control systems, VAV systems and zone control systems. Feel free to call us on your computer room needs, we service and install Liebert computer room air conditioning equipment. We will design, install and commission a system to meet your current and future needs. Remember to call Best Heating & Air Conditioning, Inc. for the routine preventive maintenance of your mechanical HVAC systems. Good maintenance will extend the life of your equipment and improve the operating efficiency. Contact Best Heating & Air Conditioning, Inc. today at 262-783-5050 for a FREE consultation, or browse the website for more information.